1. Material: SUS440C from Japan. 2. 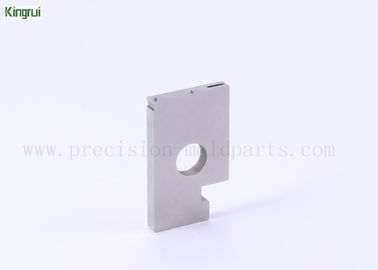 Machining: Grinding processing, discharging processing, wire EDM processing. 3. Application: Used in automoblie connector. 7. Packing: PE film covered first, Plastic box, then carton last. Electronic equipment and products/ medical equipment/ aviation/ etc. A. Experienced Staff: All of Kingrui's employees have experience of many years in related industries. B. Green Product: Although we can provide many kinds of materials, but we do not provide harmful material for human body, we keep the safety and health of the working environment, it not only pays attention to product clean, also is the embodiment of the concept of people- oriented. C. Guarantee/ Warranty: Mainly talking about two points, first, our company in 2005 obtains ISO certification; second, materials are the beginning of quality assurance, our material comes from the regular market, and we can provide proof of material. D. Packaging: Our packing can be customized, and you can choose our regular packing: PE film+ Plastic box+ carton . E. Price: Kingrui is a custom processing factory, we directly transfer with customers without any middleman. with so many years, we have accumulated a lot of experienced engineers and staff, so in the processing, we more handy, more cost advantages, so if you choose us, we will try our best to give you the most preferential price. F. Product Feature: Our factory specializes in processing square precision mold parts, specific processing techniques, such as: grinding, EDM, wire cutting and so on. Of course, the circular workpiece, we also received countless orders, and the customers are also very satisfied. G. Prompt Delivery: As a rule, our delivery date is 5-15 working days. It depends on the complexity of the drawing. If you have urgent demand, please let us know and we will do our best to give you faster delivery. I. 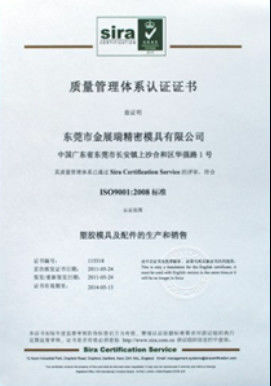 Reputation: First of all, we are a member of ISO certification, and secondly, we are honored to be a member of Alibaba. 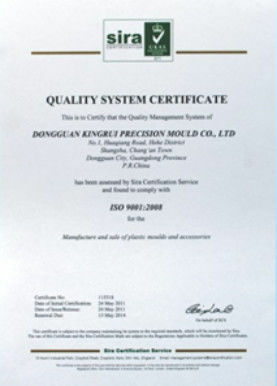 These represent our efforts in quality and promotion, as well as our ability to provide good service to our customers. J. Service: First of all, our most important and most valuable service is customization. The Kingrui can custom many, such as material, size, processing, processing, shipping, packaging, and so on. Secondly, we have excellent sales and production, to ensure that you have a satisfactory experience before and after the cooperation. K. Small Orders Accepted: 1PCS can be available.